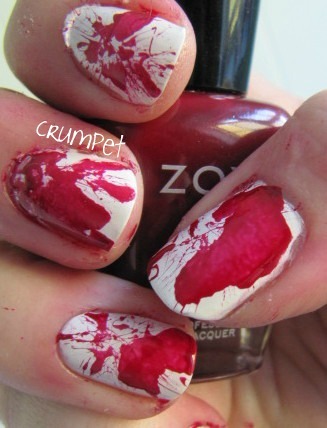 The Crumpet: Hallowe'en Week - Blood Splatter! 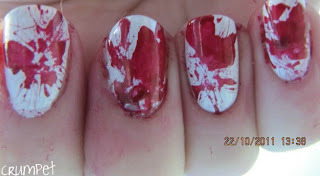 It was so obvious I would do this for Hallowe’en lol, and I was really looking forward to it. 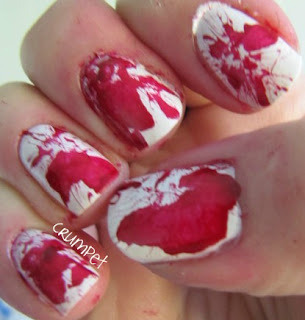 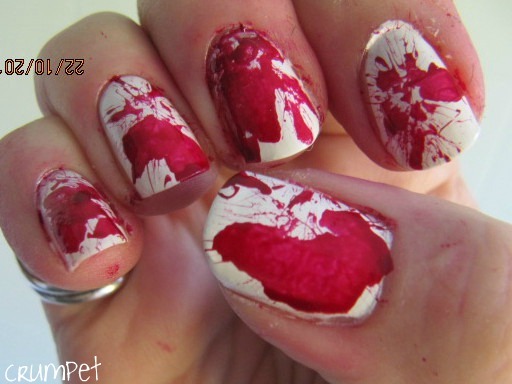 Splatters are one of my favourite manis to do, and I had wanted to do a blood one for a while. 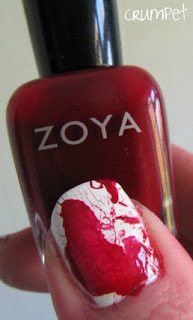 This has got a white China Glaze base, and then my blood is ZOYA Dakota – a lovely deeply pigmented red that’s not too bright and not too dark. I absolutely LOVE how it turned out, apart from one thing – it wasn’t til I loaded the photos up that I realised how smeared my clean up was. Yikes! 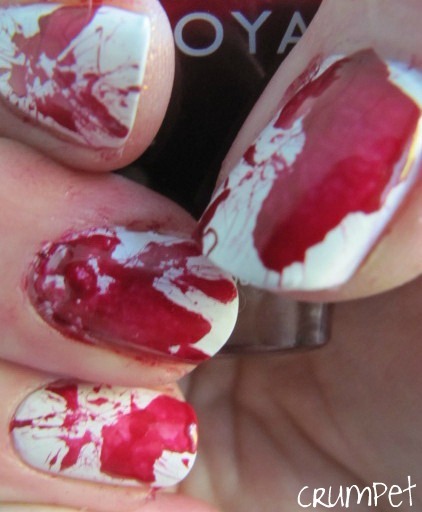 D’ya think I can get away with saying it’s just the blood?